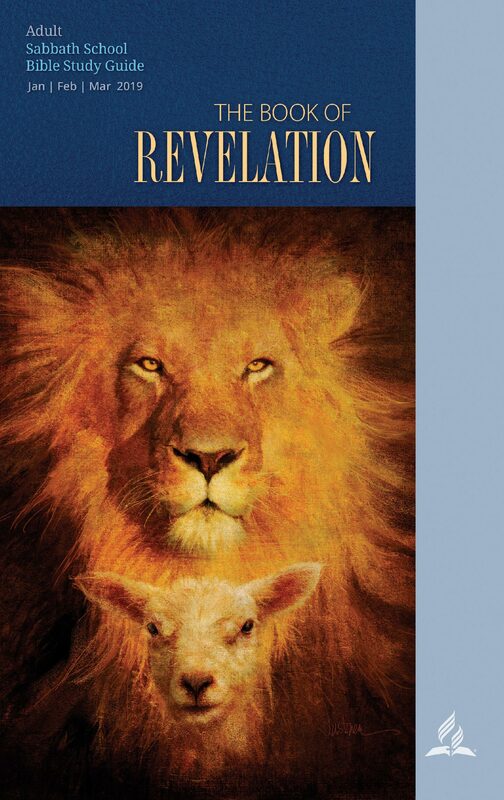 There are two explicit groups that are saved in the book of Revelation. First are those who bear the Father’s name on their foreheads. These are often referred to as servants of God (7: 3), 144,000 (7: 4), and redeemed from the Earth (14: 3). Textual evidence identifies them with the twelve tribes of Israel. The second group is identified with the Lamb, “a great multitude that no one could count, from every nation, tribe, people and language, standing before the throne and before the Lamb” (7: 9). These are obviously Gentile nations who underwent diverse experiences with Christ, including through the great tribulation (7: 14-17). “A surface reading suggests that the two groups are different. The 144,000 is a specific number of Jews (7:4-8) while the Great Multitude is an innumerable collection of Gentiles (7:9). The 144,000 is called “first fruits” in 14:4, implying there is another group like them. But closer reading militates against those initial impressions… The two groups are the same. 2) The 144,000 are then called “saints” in 14:12. So remnant, 144,000 and the saints are different ways of describing the same end-time group.” (Original Teachers’ Notes for Rev 7 (Week 6), 03 February, 2019). “With the Lamb upon Mount Zion, “having the harps of God,” they stand, the hundred and forty and four thousand that were redeemed from among men; and there is heard, as the sound of many waters, and as the sound of a great thunder, “the voice of harpers harping with their harps.” And they sing “a new song” before the throne, a song which no man can learn save the hundred and forty and four thousand. It is the song of Moses and the Lamb–a song of deliverance.” (Ellen White, Great Controversy, 648). Other allusions of E. G. White comments are found in the following sources: Letter 10, 1850 (2SM 263), Review and Herald, March 9, 1905; Early Writings, pp. 39, 40). The 144,000 are vividly described as redeemed from all the tribes of Israel. Further reading suggests their affiliation with the Lamb on mount Zion (not heaven). The multitudes, on the other hand, are identified as coming from every nation, tribe, people and language. John couldn’t identify them at first sight until one of the elders told him. They are before the throne of God in heaven. They sing and adore Him. They are identified as walking with the Lamb. They came out of persecution. You must also be careful to understand that the 144,000 is symbolic. Ask some questions like why not 7,000 or 10,000 or different figures for each tribe but 12,000 from each tribe of Israel? Why are some tribes left out? Find some answers below. Revelation 14: 1-5 is basically about the two groups. One is identified on Earth standing with the Lamb (144,000) and the other is singing from heaven before the throne (multitude). We know this from the transition from “I saw” on Earth (14: 1) to “I heard” (14: 2) from heaven. A comparative study of the two groups reveals that the multitudes are identified with heaven, before the throne, and following the Lamb. Hence, the description in 14: 2, “And THEY sang a new song BEFORE THE THRONE and BEFORE THE FOUR LIVING CREATURES and THE ELDERS. No one could learn the song except the 144,000.” The fact that ONLY the 144,000 could learn the song shows that they are not the ones singing. The other characteristics in the text are about the multitude and not the 144,000. The same can be said with the multitude in Rev 15: 2. Again, the 144,000 are sealed, unlike the multitude. In conclusion, the two groups are not one and the same, and most noble and important is the multitude of Christ’s followers. 12 It had a great, high wall with TWELVE GATES, and with twelve angels at the gates. On the gates were written the names of THE TWELVE TRIBES OF ISRAEL. 13 There were THREE GATES ON THE EAST, THREE ON THE NORTH, THREE ON THE SOUTH AND THREE ON THE WEST… 16 The city was laid out like A SQUARE, as long as it was wide. He measured the city with the rod and found it to be 12,000 stadia in LENGTH, and as wide and high as it is long. (The length of the New Jerusalem) times (The twelve gates)= 144,000. NOTE: The twelve gates have the names of the tribes of Israel. Since each side or length contains THREE TRIBES (EAST, NORTH, SOUTH, and WEST), you can multiply 12,000x3x4=144,000. The idea of 12,000 people sealed from each tribe is to give the New Jerusalem its four-square shape, with the length being the same as the breath. The 144,000 is an antitype of the NEW JERUSALEM, the bride of the Lamb (Rev 21: 2). Zion is known in Scripture as the city of David (ancient Jerusalem): 2 Sam 5: 7; 1 Kgs 8: 1; 1 Chron 11: 5; 2 Chron 5: 2; Ps 2: 6; Ps 102: 21; 135: 21; Is 24: 23; Is 33: 20; Is 35: 10; 52: 8; 59: 20; 60: 14; Joel 3: 17; Obadiah 1: 17; Zech 2: 10. Therefore, Mount Zion in Revelation is symbolic of the New Jerusalem, the city and kingdom of God. We should understand that everything about the New Jerusalem revolves around the sanctuary (throne, river of life, tree of life, gates, wall, precious stones, priests, four living creatures, etc. ).